This 12 track LP begins with a cover of Walking In The Air – a song taken from The Snowman (1982). This is the first time that I’ve heard this song sung by a woman, although comparing it to a pre-pubescent choir boy, Elaine Paige’s vocals are fairly similar. The music itself is a bit more bouncy and fun-fare at times, with more sleigh bells and bass. It’s a good cover, but I think the original is safe. Peace On Earth/The Little Drummer Boy follows this, with guitars lightly strumming, whilst piano and harps tingle over a gently increasing snare drum joining. Elaine is joined on the vocals by Tommy Körberg (I think), which adds a nice vocal contrast to these two songs. Father Christmas Eyes is up next, and this reminds me vocally of Kate Bush initially. This is a brand new song written especially for the album. It’s a mid tempo song, plodding along nicely. Ave Maria is up next. There are many versions of this song, most recently covered by YouTube rocker Jan Terri. However, Elaine chooses to keep this version closer to its originally intended style, with careful arrangement by Mike Batt of The Wombles fame, although this time he gets the London Philharmonic Orchestra in. Elaine uses the song to continue to show off her vocal capacity. Next up is a cover of Wishing On A Star – a song I’m very familiar with but not in a Christmas context, and haven’t previously owned. Here, Elaine is joined by The Mini Pops child choir. This is quite a nice up-beat cover, with plenty of funky bass and sleigh bells, even if it’s festive links are tenuous. Again, her vocals aptly shine here. Side One closes with Santa Claus Is Comin’ To Town. This is quite a funky little version that’s reasonably rocky with plenty of electric guitars and bass. There’s even some 80s Obligatory Saxophone amongst the tinsel. An eerie child choir adds some loveably sinister menace towards the end. Side Two opens with traditional song Coventry Carol. This song really gives Elaine plenty of space to show off her vocal skills, including her vocal harmonies/duelling skills. This is quite a hard song to concentrate in whilst singing, so her performance here is fantastic. Eventually, she’s joined by a bigger choir who really add a wave of warmth for a fleeting moment. A cat cries in a howling gale as piano tinkles away into the beginning of The Coldest Night Of The Year (Incredible Phat). Again, a kids choir joins Elaine in singing, adding that textbook Christmas song touch. Sweeping strings add to the harrowing winter lyrics, as Elaine sings about a talking cat (called Incredible Phat), giving her some impressive notes to reach for. This is quite a nice song, if a little odd. Light Of The Stable is up next, with strumming guitars, strings and humming ensemble. This song has an upbeat almost gospel feeling to it as the choir soars through this strum-a-thon. This is followed by I Believe In Father Christmas, which Elaine makes light work of. Musically, this is a pretty standard version and I’ve heard many versions of this song that all sound very similar. Penultimate song is a cover of David Essex’s hit, co-written by Tim Rice and Mike Batt, A Winter’s Tale. Whilst it is laden with an orchestra, it feels a bit too up-beat for such a sad song, and sounds a bit more like the Howard’s Way theme instead. David’s version is better. The album closes with a very short, fast, and utterly adorable Thirty-two Feet and Eight Little Tails. This is a very sweet and playful song – naming and referring to all of Santa’s reindeer aside from Rudoph. I played it twice, and courtesy of the sleeve notes, sang along. Great fun. Over all, this is a really nice fun christmas album. There’s a few unfamiliar songs here, a few contemporary covers, and some classic songs – essentially something for everyone. Elaine’s vocal skills shine, and this album was probably pretty easy to record. Some of the songs are musically ‘safe’ but that doesn’t really detract from a good fun album. Where is Elaine Paige now? 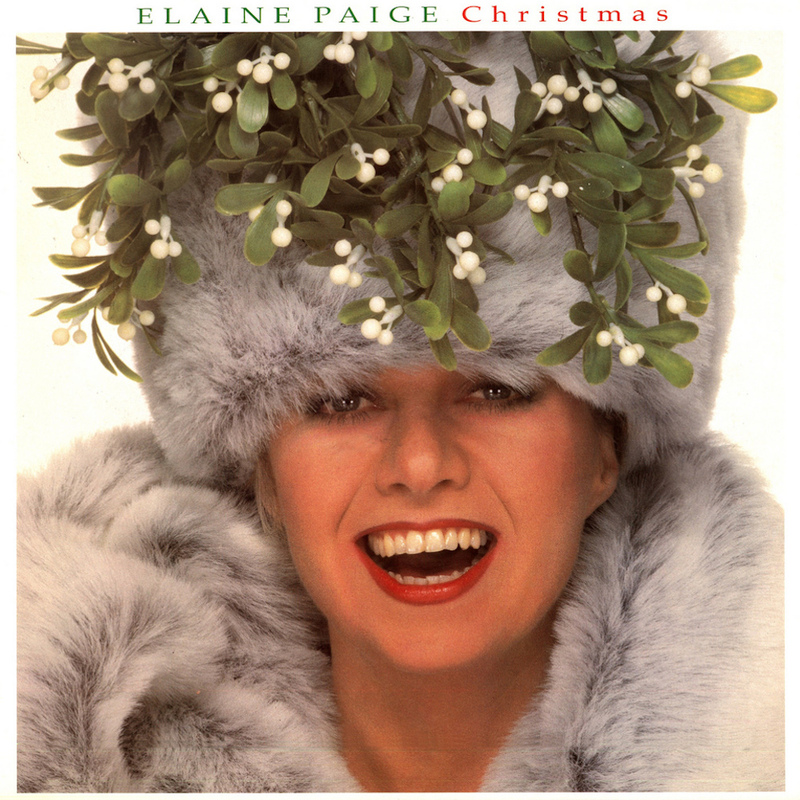 Elaine Paige would wait another 8 years for her next album, as this Christmas album saw the end of her record deal. It was followed by one of the many ‘best of’ albums that have helped to boost her later career. This album was remastered in 2006. Elaine’s most recent album of new recordings came in 2010, with Elaine Paige and Friends – a 13 duets album with artists including LeAnn Rimes, Sinead O’Connor, Idina Menzel (of Frozen ‘Let It Go’ fame), and Kenny G. It gave her another top 20 hit UK album and saw her go on tour. Her most recently charting single was Memory, reaching #36 in the UK singles chart in 1998. With more than 50 years in show business, Elaine has continued to star on stage in the UK and US to critical acclaim, tour, and occasionally appear on TV. POP RESCUE COST: £4.29 from a Discogs seller. Posted in 1980s, Christmas, Elaine PaigeTagged 1986, album, London Philharmonic Orchestra, Mike Batt, review, The Mini Pops, The Snowman, Tim Rice, Tommy Körberg, Walking In The AirBookmark the permalink.